Rupert Ireland brings to Blue Eagle Lithium over 20 years of experience in the energy, financial services, and technology sectors. His first-hand operations knowledge and significant business relationships – including being a principal of the private equity and merchant banking alliance Gladstone Global since 2016 – are vital to the successful direction and execution of Blue Eagle’s business objectives. Prior to Blue Eagle, Rupert was part of the takeover of a publicly-listed US Oil and Gas Firm, having become its CEO in 2014. He has also been involved with Oil and Gas projects in the US, including drilling programs. His previous experience includes roles as Head of Trading at Carax (now Tradition), and Sales Trading at City Index, with clients including JP Morgan, Citibank and top hedge funds. Rupert attended the University of Newcastle. Rod Murray has 30 years of oil industry experience, primarily in new ventures and the management of projects and operations in developing countries and the US. His projects have ranged from multi-million- to multi-billion-dollar wildcat exploration, discovery, appraisal and development scenarios. Over the course of his career in the energy sector, Rod has managed over 200 projects, working for most of the majors including BHP, BP, Shell, Amoco, Chevron and Mobil. Along the way he developed a strong track record in forging strong relationships with government officials, investors and operators. 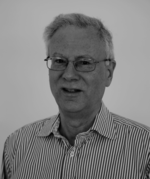 Rod spent his early career as a Consultant and Operations Geologist in Europe, Africa and the North Sea. Rod is a graduate of the Royal School of Mines, Imperial College (MSc. Petroleum Geology), and the University of Manchester (BSc. Geology). Gavin Harrison is a well-known figure in the US Lithium Exploration Industry, having quickly dispatched and acquired 500,000+ acres of mineral lands equating to over 25,000 mineral claims in Utah, Arizona and Nevada on behalf of clients during the lithium land rush in 2016. His reputation and hard-earned experience in the lithium industry is invaluable to Blue Eagle. Gavin’s company, Harrison Land Services (HLS), has a wide range of exploration instruments and equipment for carrying out field tasks, and is a well-equipped field service company. 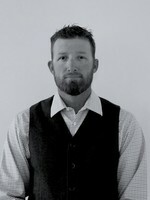 He is a managing member of Plateau Ventures LLC, and a native of Moab, Utah. Robert FE Jones is a seasoned Oil and Gas professional and geophysicist with 40 years of experience in the energy sector. Most recently, Robert has worked as an independent, and is currently in NED roles for Caithness Petroleum and Tristone Energy. He has led business and exploration activities for many of the larger UK independents, including extended terms with Cairn Energy plc, Tullow/Okland, and Clyde Petroleum. He spent his early career working for Canadian and US companies, before moving to the Middle and Far East with BNOC. Robert has strong capability across all aspects of energy exploration and development, founded on technical excellence in geoscience/exploration. He has successfully delivered over 400 projects, including new ventures, exits, re-organizations, and major discoveries in South America, the Arctic, Asia, Middle East, Europe and West Africa. Robert is a Certified Petroleum Geophysicist (AAPG) and a graduate (MSc. Marine Geotechnics, BSc. Physics) of University College of North Wales.